In this part of the country, temperatures vary widely over the different seasons. Maybe you’ve already given your air conditioning a trial run lately and noticed it wasn’t running much cool air. On the other hand, your furnace worked just fine over the last few months. You may be faced with the question of replacing at least one – and possibly both – of your systems. Could a heat pump be the answer for your Utah home? A heat pump works differently than a furnace, which uses energy to create warmth by heating the air. Instead, a heat pump transfers heat from one place to another, which uses much less energy. It takes heat from the air outside to produce cool temperatures indoors and vice versa. As a result, heat pumps can be used to both heat and cool the inside of your home. Robert Webber, an American inventor, came up with the concept for the modern heat pump in the late 1940s, but it wasn’t widely used in areas with extensive cold seasons. However, new technology in the last several years has produced heat pumps that are energy efficient, even in cold weather. Efficiency – Technology has only improved the efficiency. Today’s heat pumps use far less energy than a gas furnace. Heat pumps with a higher SEER (Seasonal Energy Efficiency Ratio) rating are more expensive up front, but they use less energy, therefore saving you money in the long run. There are also tax credits for high-efficiency heat pumps. Cost of operation – Electricity costs less than natural gas in most areas. Since heat pumps use electricity, running them costs less than the furnace that is powered by natural gas. 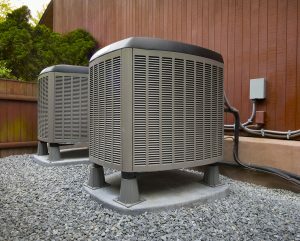 Noise – Heat pumps are less noisy than a running furnace. Safety – There’s no risk of carbon monoxide poisoning with a heat pump. Warranties – Replacing both your air conditioner and furnace with a heat pump means you’ll have the protection of a warranty. Manufacturers are not apt to honor warranties of new systems that are combined with older ones. When replacing your heating and cooling system, it’s a good idea to talk with the experts at Best Heating & Cooling. We can provide the options and benefits that will best suit your Utah home and budget.